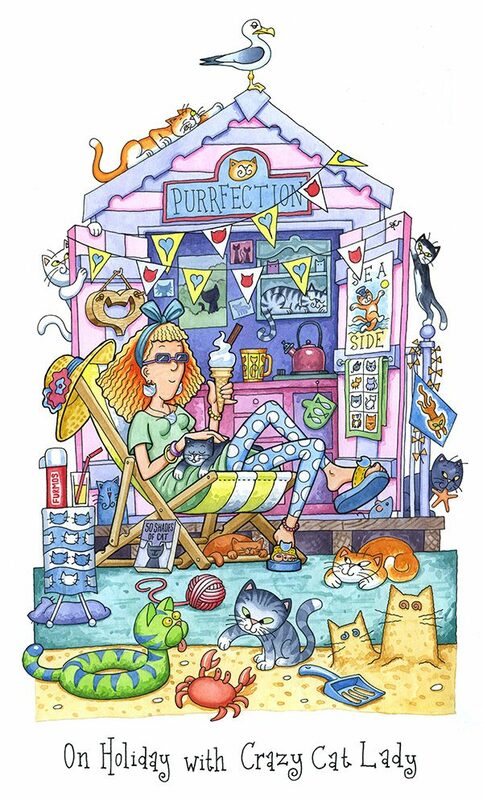 As part of an ongoing series of images to be recreated in embroidery, ‘On Holiday with Crazy Cat Lady’ was delivered to a delighted client. 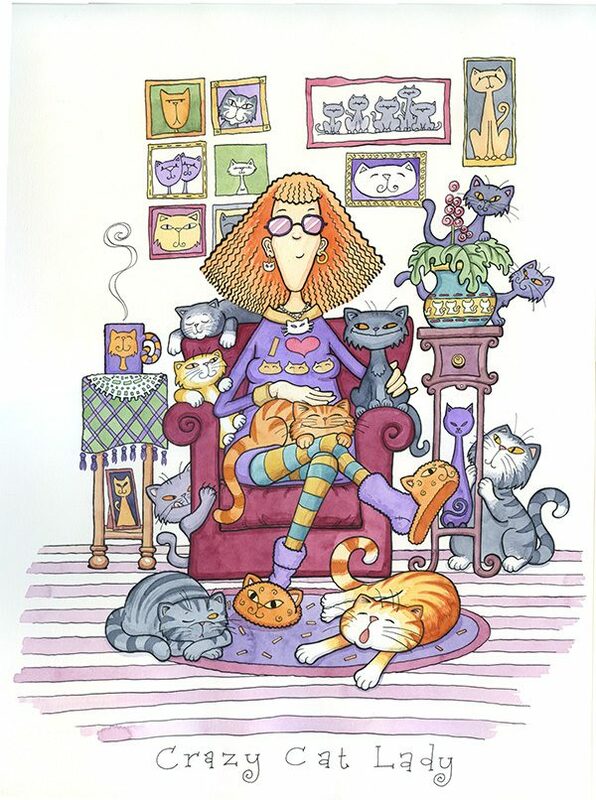 Crazy Cat Lady has proven a tremendous hit with Heritage Crafts of Staffordshire and appears in a variety of situations. This latest piece, in ink and watercolour, is one of the larger, more challenging images which prove to be enormously popular with the stitching world. 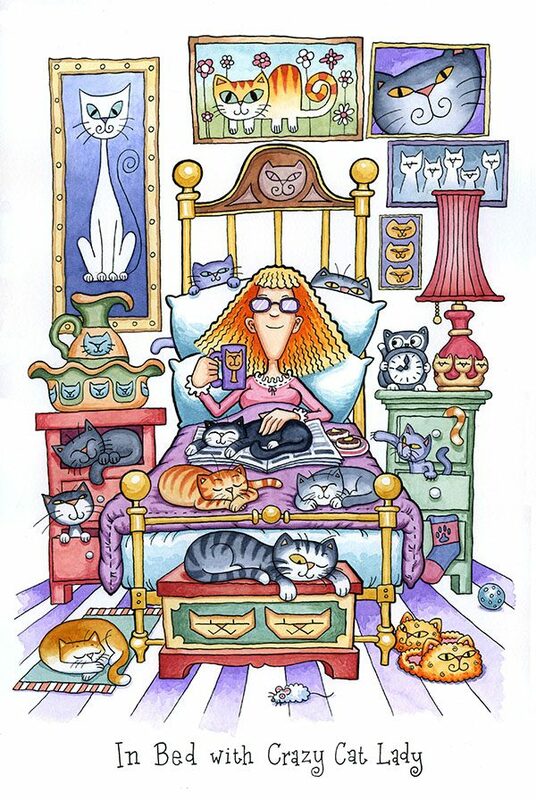 After the client took delivery of ‘On Holiday…’ I received an immediate request for two additional pieces of Crazy Cat Lady art. Watch this space!